Located in Singapore’s downtown Civic and Cultural District is the architectural gem once discretely known as Capitol Building and Stamford House, about which many locals fondly reminisce. After years of meticulous restoration by acclaimed architects and updated with refreshing modern touches by famed interior designers, it is now home to The Capitol Kempinski Hotel Singapore, which opens this month. 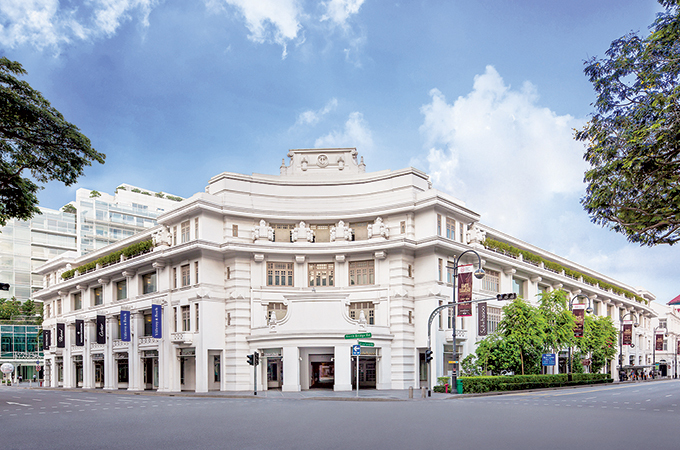 The Capitol Kempinski Hotel Singapore is nestled at the centre of the continually revitalised luxury heritage lifestyle destination, Capitol Singapore – encompassing an exclusive 39-unit residential tower, a premium retail mall, and the legendary Capitol Theatre. It is a perfect starting point to explore the city, where access is effortless via sheltered connectivity from City Hall MRT station, with entertainment and lifestyle options, as well as dynamic landmarks and art venues, also within close proximity. Beautifully restored, The Capitol Kempinski Hotel Singapore features a design that stays true to the buildings’ colonial art deco and Victorian aesthetics while stylishly capturing contemporary beauty and elegance to be a true masterpiece. Each design element infuses homely warmth into the space while giving the feeling of understated grandeur, underscoring its stately past. High corniced ceilings, dramatic archways and grand windows offer sweeping views of the city and an abundance of natural light that shifts with the day, lending an almost ethereal glow to the space. Lamps and cornices in each room have a patterned design – customised to represent the scales of Singapore’s mascot, the Merlion, in a subtle tribute to the nation. The 157 guestrooms and suites are each marked by intricate detailing and light-filled high- ceiling interiors. Spanning almost 50 unique room configurations, forgoing the typical unit- oriented hotel typology, each area is thoughtfully-designed, working cohesively within these conservation structures. The ultimate retreat awaits The Spa at The Capitol Kempinski Hotel Singapore, where the fusion of modern therapies and traditional Asian massages has been fine-tuned to blissful perfection. In-room spa treatments are also available for a truly indulgent experience. Fitness enthusiasts can maintain a workout regime at the Gym, kitted out with state-of-the- art TechnoGym equipment, or simply lounge back for a refreshing afternoon break at the outdoor saltwater relaxation pool – a quiet escape ideal for a relaxing dip, or a moment to rejuvenate. The Capitol Kempinski Hotel Singapore offers event spaces that can be delicately tailored for groups of varied sizes, from an intimate gathering with 12 guests in the charming Private Room, to 220 guests in a theatre-style setting in the elegant Salon. More details about the food and beverage experiences will be shared soon.